Leather Necklaces There are 52 products. 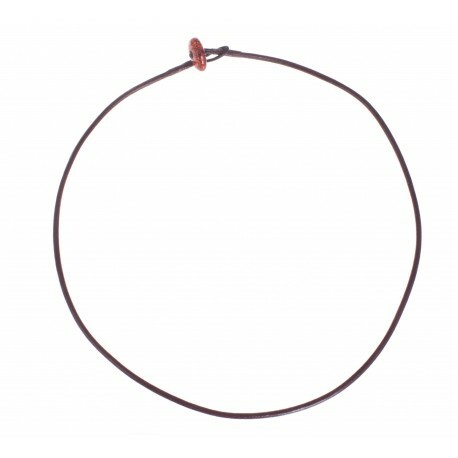 Exclusive hand-made leather necklaces. Clear and smoothly polished amber pieces, surrounded by dark black, brown or green and light yellow, white and sand colour wavy leather compositions. 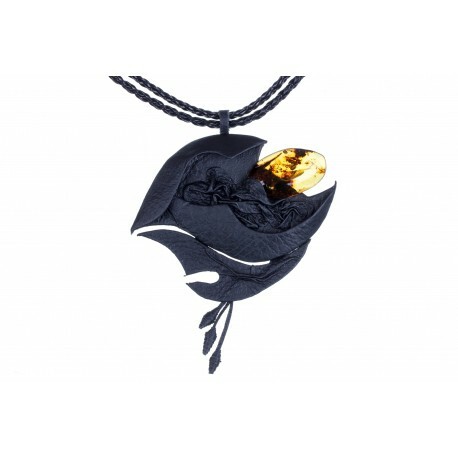 Impressive, flower design, amber necklaces made of brown, yellow, black, cognac, green and cherry-colour, layered amber "leaves". 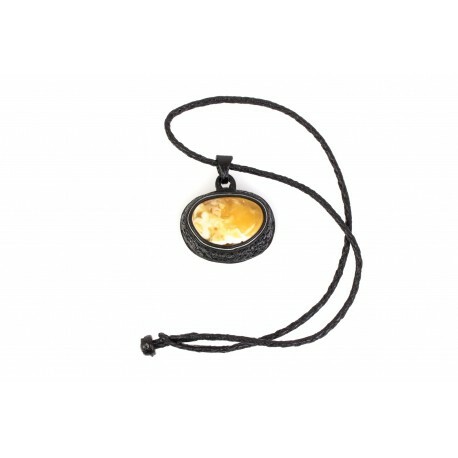 Unique leather, amber and silver necklaces. 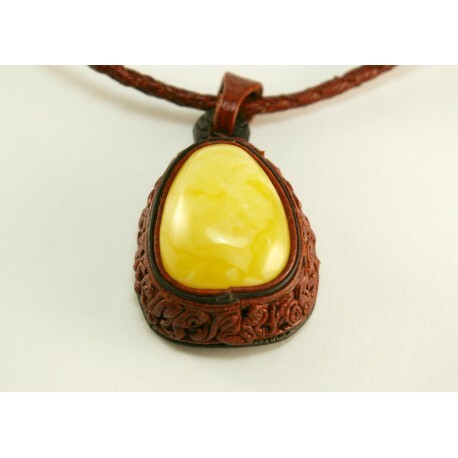 Three leather strings, combined into one necklace and finished with yellow amber button. 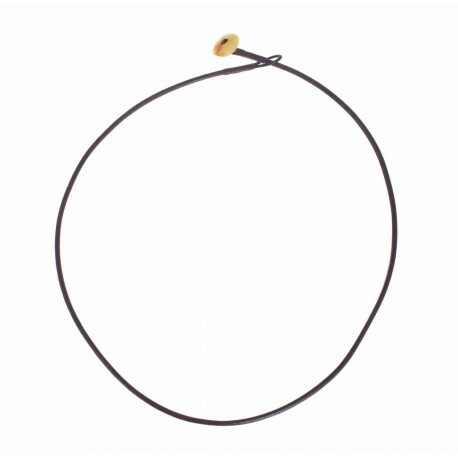 Three leather strings, combined into one necklace and finished with brown amber button. Leather, brown-color strap with yellow amber button. Leather, black-color strap with brown amber button. Leather, brown-color strap with brown amber button. 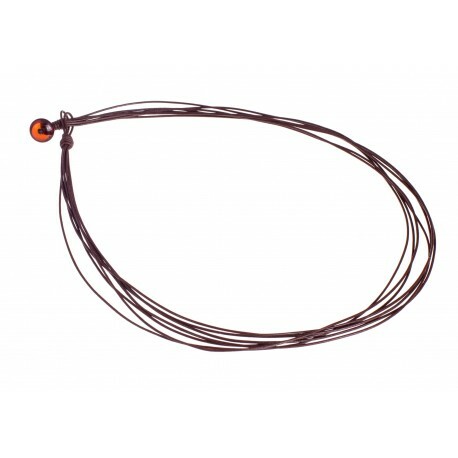 Seven leather strings, combined into one necklace and finished with clear cognac amber button. 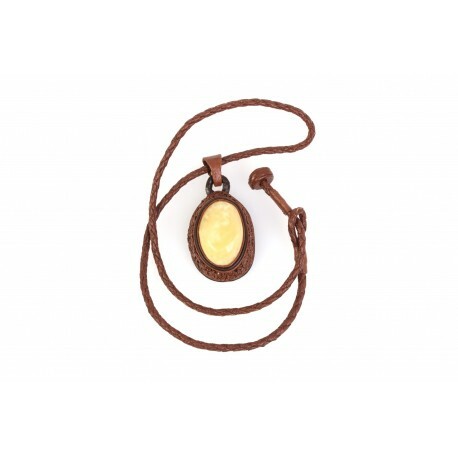 Professionally hand-made, light brown leather necklace with white amber, so called "The Lithuanian Gold". The amber is thoroughly rounded and embraced by the composition of the shrunken leather. This necklace has warm, soft colours, a romantic mood and at the same time it is an exceptional work that cathces the eye. 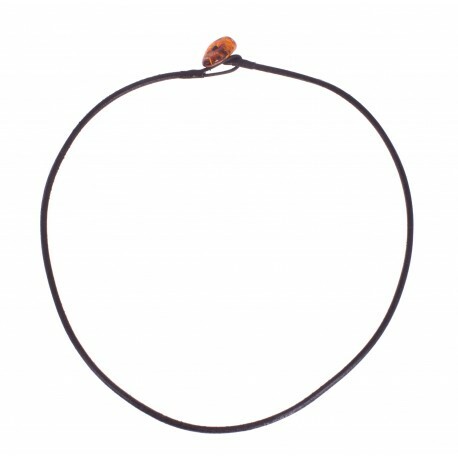 An exceptional, hand-made, brown (copper colour) leather necklace with white amber. The amber is rounded and embraced by the composition of the shrunken leather. 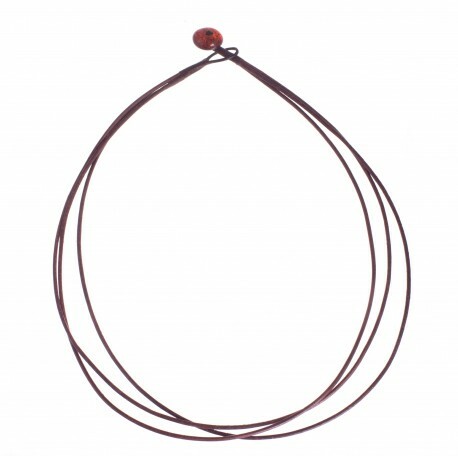 This necklace is unique because of its lush leather colour, it shines the warmth and good energy that other people will notice. 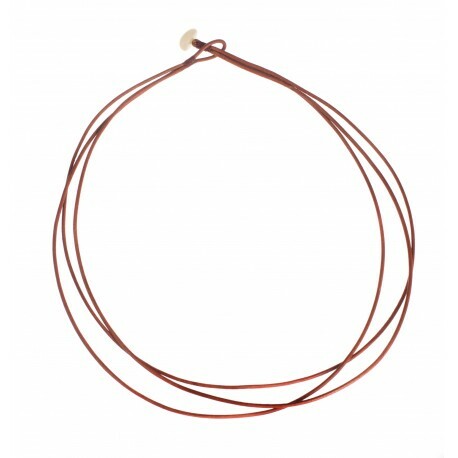 Thoroughly hand-made, dark brown leather necklace with white amber, so called "The Lithuanian Gold".The amber is rounded by two colours (dark and light brown) and embraced by the composition of the shrunken, natural leather. Hand-made dark red color necklace with unique white amber. 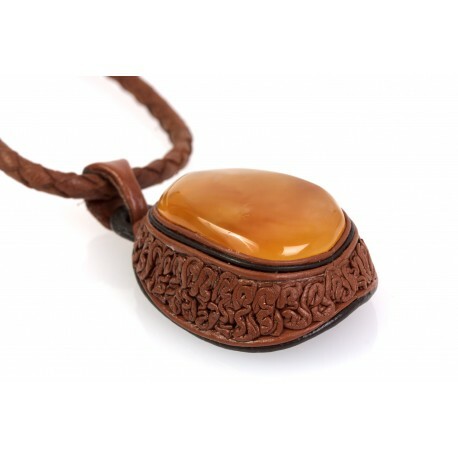 Exclusive, professional handmade blue leather necklace with cognac amber. Amber is carefully wrapped around the edging and surrounded by a beautifully wrinkled blue leather composition. Jewelery colors are playful, bright, cheerful, so you will shine good energy when you dress it up. 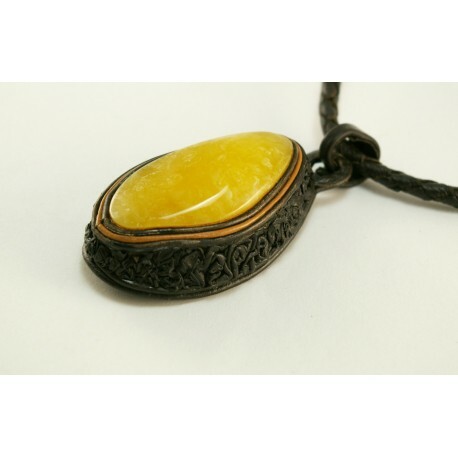 Thoroughly handmade, leather necklace with the clear, gently polished, yellow-colour amber. 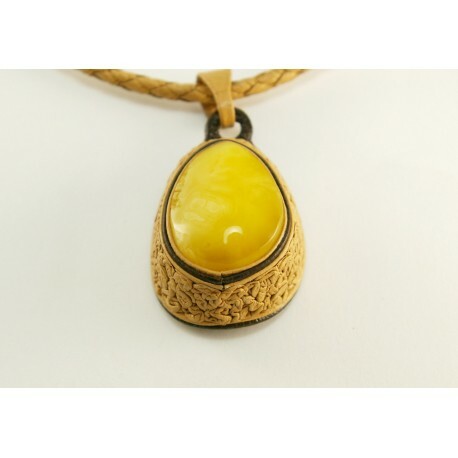 An elegant, thoroughly handmade necklace with the yellow-colour amber. The amber is rounded by the light brown rim and embraced by the composition of the shrunken leather. 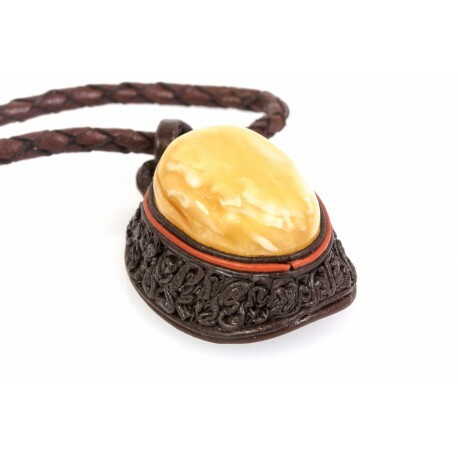 An elegant, brown-colour leather necklace with the yellow-colour amber. 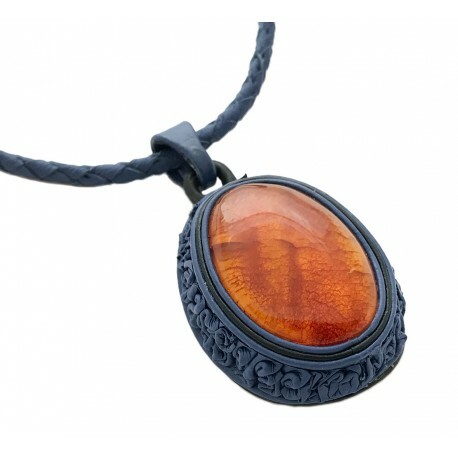 The amber is rounded by the composition of brown, shrunken leather that reminds the pine's stem. Wear it and be close to the nature. 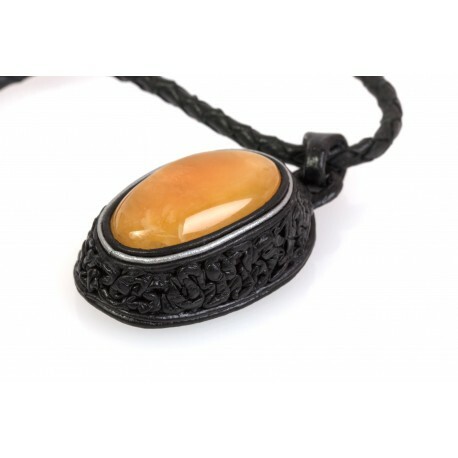 An elegant, black leather necklace with the white, Baltic sea amber. The amber is rounded by the beautiful, thorough handmade, leather composition. 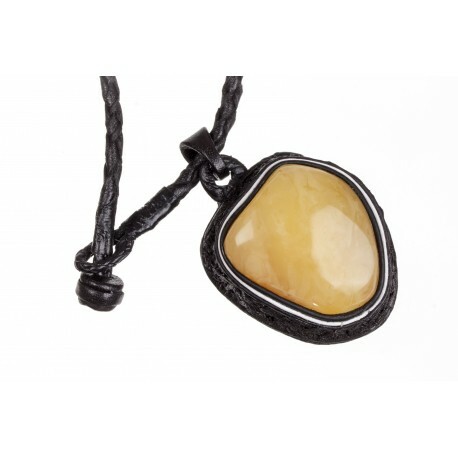 Thoroughly handmade leather necklace with the white, Baltic sea amber. The amber is rounded with a beautiful, brown leather composition which reminds the pine's stem. A small part of nature for You. 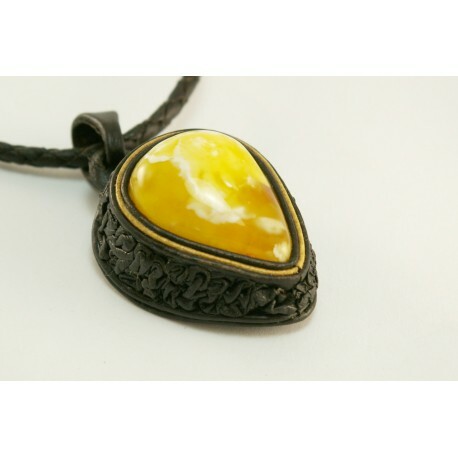 Black leather necklace with the yellow-colour amber, rounded by the beautiful, shrunken leather composition. It is like a new drop of the resin on the pine's stem. 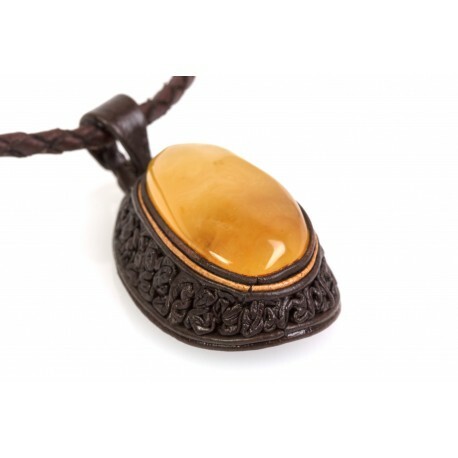 An elegant, brown leather necklace with the white, Baltic sea amber. Wear this thoroughly handmade jewelry and gladden everybody with Your beauty. 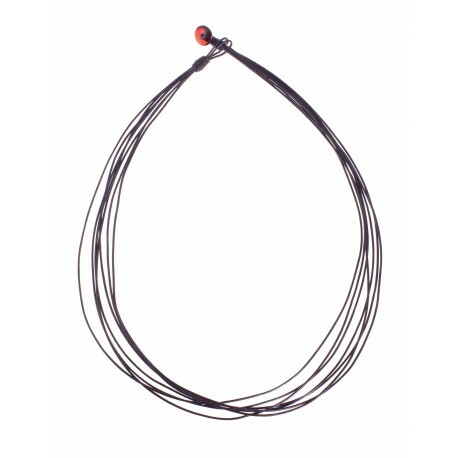 Thoroughly handmade necklace with a weaved leather string and lemon colour amber which is rounded by a leather's composition. The amber reminds us a new drop of a resin on a pine's stem.